At the end of every decision is an outcome, every single time. But sometimes we don’t have enough time or information, so how can you make smart decisions to create your desired outcome? We may often find ourselves consumed with decision fatigue because we are afraid of the consequences of making the wrong choice. Other times, the product of our actions feels so far away that we cannot even begin to fathom how to make the right decision. 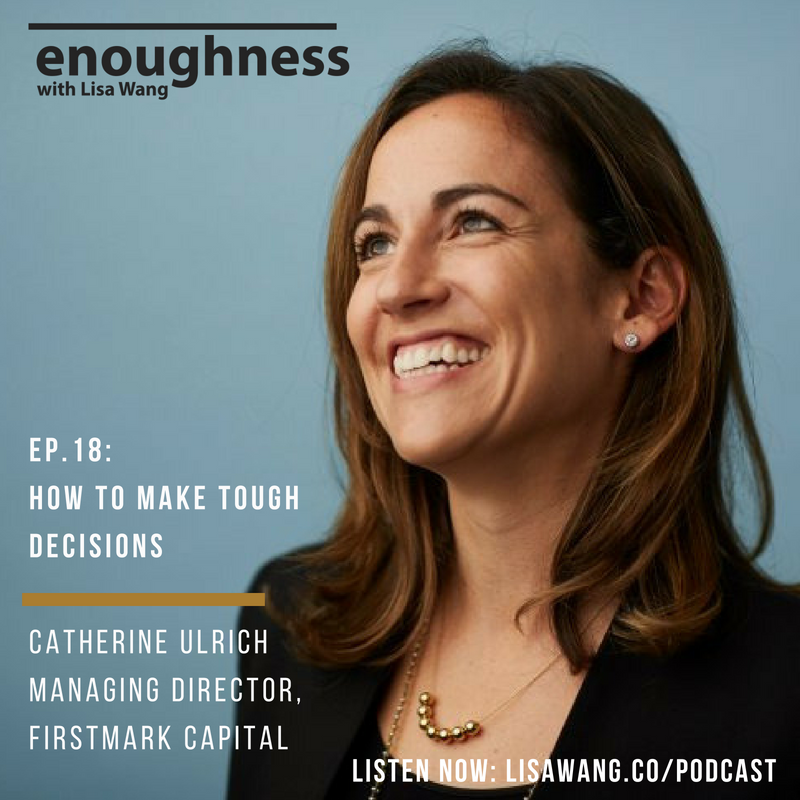 Instead of obsessing over finding the right answer, today’s guest, Catherine Ulrich, encourages us to start by asking “Who do I want to be?” and taking a long hard look at all of the outcomes, especially the less desirable ones. This isn’t to prepare for the worst, but rather, to assess the worst-case scenario in detail to stop it from having any reign over our lives at this moment. When we keep the different possibilities in mind, we always know what we’re walking into and how to behave accordingly. At the end of the day, our energy dictates our thoughts and feelings. Instead of allowing ourselves to get caught up in overwhelming feelings, we must understand why we are afraid, the steps we can take to overcome that fear, and why that fear is much bigger in our heads than it is in reality.